Having just been to see Queen-inspired show We Will Rock You at London's Dominion Theatre this week, I'll admit I'm now Freddie convert! So, I couldn't resist sharing this video with you - it's been doing the rounds and if you haven't already laughed along to it, be sure to click 'Play' this time here! 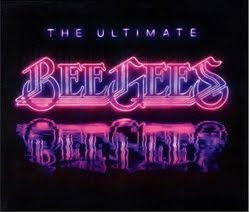 No Christmas party would rock without some Bee Gees classics to get people on the dancefloor. Guaranteed to have even the non-dancers swaying to their feet-friendly tunes, those legends of the 70s are most definitely Stayin' Alive for the Noughties and beyond. Get your hands on the Brothers Gibbs best hits to date in their 50th anniversary boxset CD and DVD set, available through Amazon. Also, why not check out this link for the chance to hear and watch the Bee Gees do what they do best! From Islands In The Stream to Words and Still Waters (Run Deep), you won't be disappointed. DYR took their seats at the O2 Arena this week for A-ha’s Foot of the Mountain Tour, named after this year's album, which reached the UK top five. Fans were quickly on their feet as the now suited and booted Viking pop icons began their set with 'The Sun Always Shines On TV', followed by a combination of the classics - which included 'Hunting High And Low' and 'The Living Daylights', 'I Dream Myself Alive', the beautifully poignant 'And You Tell Me' (from their first album) and 'The Blood That Moves The Body' (from 1988's Stay On These Roads). For DYR the rendition of the song 'Velvet' (from Minor Earth Major Sky), was the highlight performance, with Pal and Morten playing acoustic guitars and Mags playing a handheld mini electronic synth, demonstrating their craft and talent as musicians and timeless performers. Two encores beckoned the band back on stage and to the audience’s delight A-ha finally ended the night with the mid-80s defining classic, 'Take On Me': something fans were still singing as they moved toward the Jubilee Line tube station! If you missed this year’s tour and you’ve heard rumours that this was A-ha’s last, then Mags put the record straight during the concert. They will be back in the UK for one final goodbye tour in 2010, so keep your eyes peeled for concert dates and make sure not to miss out on this piece of pop history. DYR’s other top tip for A-ha fans visiting London between now and 21st November is to take a trip to the Paul Stopler Gallery (http://www.paulstolper.com) in Museum Street just opposite the British Museum, where Mag’s has an art exhibition called ‘alpha beta’. If you’re in the mood for a purchase and want to get your hands on some A-ha memorabilia, then the first 500 prints sold will be accompanied by a limited edition 12" vinyl disc signed and numbered with a new Magne F composition, titled ‘Word Symphony’. ‘Word Symphony’ is a unique project that takes as its foundation the vocals from A-ha's "Foot of the Mountain" album. There are certain things that without which Christmas just wouldn't be the same. Crackers that don't bang, the forgotten bread sauce, and that piece of Brussels sprout hanging onto your nan's chin for dear life. Not to mention games of Trivial Pursuit, Only Fools And Horses on the TV and neverending tins of Cadbury's Roses...mmmm! But as of this year, the latter will never be the same again.. 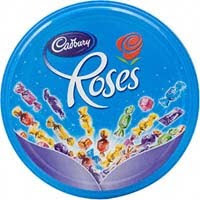 Yes, the iconic round Cadbury's Roses tin is to be replaced in a trial run by a square box made from cardboard in a bid to make it more eco-friendly. It's predicted over 200 tons of steel a year will be saved. I suppose these are good intentions, but it'll be a shame to see the tin fade away. 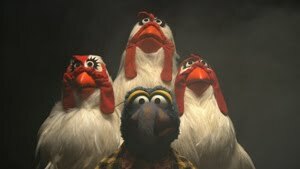 What, for example, will we put our leftover mince pies in? One thing that won't be changing, sadly, is the price point. Catch the new Cadbury's Roses in Tesco stores in the run-up to Christmas and be sure to give your feedback on whether you want the tin to stay!